CommandFusion will be introducing a new series of products later this year, which will be called the “LAN” series. The existing offerings will now be referred to as the “Pro” series. The "Pro" series will contain the currently available hardware products. The Pro series will continue to be developed with new offerings as well as upgrades via firmware upgrades and hardware improvements. This hardware is designed to be used in larger projects, where flexibility, cost effectiveness and system reliability and security is paramount. CFLink will always offer significant advantages over an Ethernet or wireless system. The Pro series comes with an unprecedented 5-year warranty. The “LAN” series are products intended to be more accessible to all types of users. 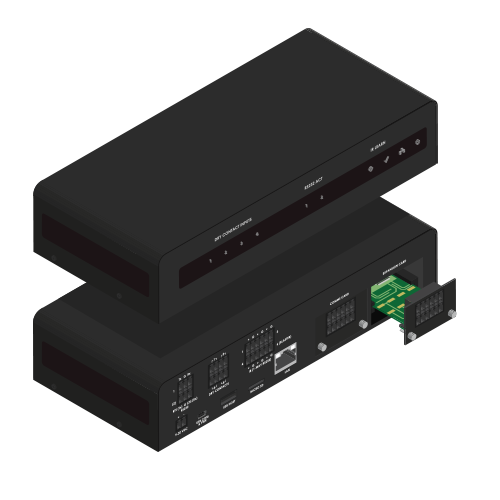 The LAN series is built around connectivity and flexibility, with products to have either Ethernet or Wi-Fi connectivity built in. Products are generally modular, and will hence be easily customizable and expandable. Cloud functionality will also be offered to the LAN series, as well as the Pro series, which will give both end users and integrators alike the ability to program and maintain installed systems with ease. The previously announced all-in-one networkable controller - the Solo, was the first product to be announced in LAN series. 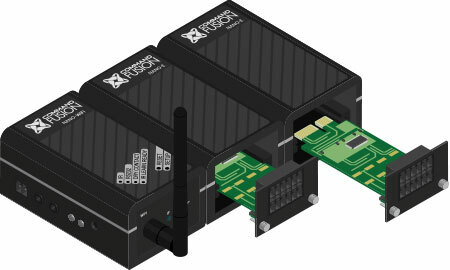 A built in Ethernet port gives the Solo immediate and simple connectivity to any standard network, while the communications expansion slot allows the user to easily add other protocol cards such as the Wi-Fi expansion card, as well as future options. Along with all the standard RS232, IR and dry contact control ports you would expect, the Solo also features high power IR Blaster LEDs and a built in IR Learner. Upon launch, a number of control expansion cards will also be available, including a 3-channel low-voltage relay card and a 4-channel RS232/422/485 card. These cards will allow for the user to customize the Solo to suit their requirements. Also in the LAN series, will be the yet-to-be officially announced “Nano”. The “Nano” is an intelligent modular IP control system, with either a Wi-Fi or wired Ethernet base unit that fits in the palm of your hand. Up to 6 expansion units can be added to the base, and both the base and the expansion units can be fitted with the same control cards that are used for the SOLO. Cards that will fit both the SOLO and the Nano will include low-voltage relays, serial, I/Os and IRs as well as other interface options in future. A CFLink Card option will also be offered, which will allow a merging of the LAN and Pro series architecture when desired.